A judge on Wednesday increased bond for a jailed Sunnyvale woman accused of stealing eight houses after prosecutors said she planned to flee the country. 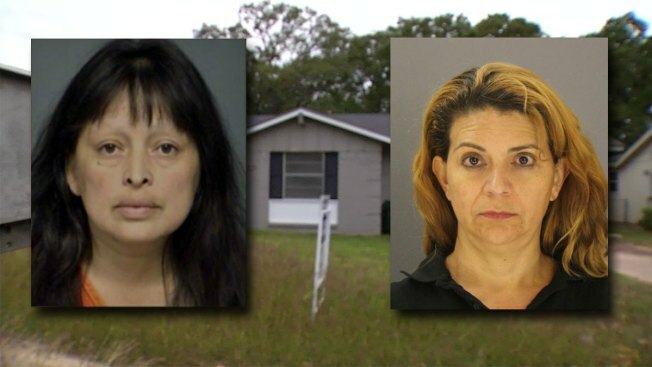 Prosecutors say Lydia Bent, 46, and another woman, Edith Garcia Chavez, 40, of Mesquite, filed fraudulent title transfer documents to steal homes in Dallas and in Balch Springs and resell them to unsuspecting buyers. Most, if not all, of the homes were vacant. Both women were indicted in February on charges of theft over $200,000, a first-degree felony punishable by up to 99 years in prison. NBC 5 Investigates reported in November on the bizarre scheme to steal one of the victim’s houses. In court documents, prosecutors said they learned of Bent’s plans to leave the country from Garcia. Garcia was released on bond. But Dallas County Senior District Judge John Nelms increased Bent’s bond from $25,000 to $200,000. Bent remained in the Dallas County Jail Thursday, which was her 46th birthday. Bent's attorney, April Smith, did not return a call seeking comment. Garcia's attorney, Mark Perez, declined comment. Prosecutors originally charged the women with selling six houses but updated court documents indicate the number of victims is eight.